DirtonDirt.com is a website that provides news coverage, results and features on all types of Dirt Late Model racing. Information is dispensed by videos, photographs, text stories and other formats. How frequently does DirtonDirt.com publish? Literally 24 hours a day, seven days a week as events warrant. Regular features appear throughout the week while results and other coverage of events primarily appear during the weekend and Mondays as information is available. At major events, DirtonDirt.com staffers provide frequent updates from the racetrack. Viewers have access to the site anytime, including the ability to search through archived stories, photos and videos. The owners and founders are Michael Rigsby and Amber Vander Pluym. Rigsby is a former television sports anchor for the NBC affiliate in Madison, Wis., and handles DirtonDirt.com video reports. Vander Pluym, the director of marketing and promotions, has four years experience with some of the largest radio conglomerates. Todd Turner, who has worked more than a dozen years as an editor, writer and photographer of Dirt Late Model racing, most recently with National Dirt Digest, serves as chief writer and editor. Other staff contributors are Kevin Kovac, Andy Savary, Derek Kessinger, Will Gigeous, Alli Collis, Robert Holman and Tim Truex. What makes DirtonDirt.com different than other dirt racing sites I've bookmarked? Providing original content and easy-to-find information are the main missions of DirtonDirt.com. Dirt Late Model fans view video reports, read driver features and enjoy media exclusive to DirtonDirt.com. 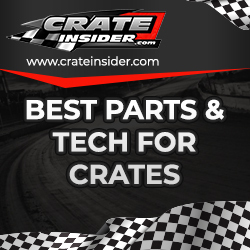 But even routine information not exclusive to DirtonDirt.com — series race reports, press releases, weekly track results — is edited and logically categorized to provide reports without needless surfing to dozens of sites where clicking the correct link or finding the right story isn't always easy. What do I receive for being a DirtonDirt.com premium subscriber? Complete access to everything on the DirtonDirt.com site, including archived stories, video reports and slideshows. Much of the content at DirtonDirt.com is free, but some content may be restricted to subscribers. How much does a DirtonDirt.com subscription cost? Monthly subscriptions are $11.99, but subscribing annually at $99.99 provides a significant savings. If you subscribe monthly with a credit card, you will be billed $11.99. The next billing will be at the conclusion of your first month and monthly thereafter to ensure uninterrupted access to the site. If you'd like to cancel your subscription, email Alli Collis and you won't be charged the next billing cycle. If you subscribe annually with a credit card, you'll be charged $99.99. When your subscription is nearing annual renewal, you'll receive a notification at the top of the website in the month previous to the renewal. If you'd like to cancel your subscription, email Alli Collis and you won't be charged the next billing cycle. Subscriptions are designed for personal use only. Subscribers allowing others to sign on to their account are at risk of locking themselves out of the website and of sharing credit card and personal information they may wish to keep private. How does DirtonDirt.com decide which stories, photos and videos are for subscribers only? Exclusive staff-produced video reports and text stories are most likely to require a subscription. Most stories and photos from contributors as well as from series and track reporters/photographers are generally free to all website visitors. In some cases, reports from a race or a story will have a mix of free and premium content. For instance, a basic race recap and photos for an event might be free, but a video report, sidebar stories, and extra notes about the same event is subscriber-only content. Why aren't there many stories or results about events preceding September 2007? Basically, we had to start somewhere. Inputting stories from all of 2007 wasn't possible, so with our Sept. 4, 2007, start date, we decided that the DirtonDirt.com world would begin with Labor Day weekend. How do I become a contributing photographer or writer for DirtonDirt.com? Please email Todd Turner and let him know if you're a writer or a photographer. Plan to send samples of your work. Alternatively, you can track down a DirtonDirt.com staff member at the track.